Definitive Harley. If retro-style cruising is your thing, the Harley-Davidson FLSTF Fat Boy has all the right bits in the right places, from the big Milwaukee V-twin motor to the characteristic disc wheels and even the badge on the tank. Not the most versatile or comfortable of Hogs, but the Harley-Davidson FLSTF Fat Boy is almost certainly the best looking. For most Harley-Davidson FLSTF Fat Boy owners, it's surprisingly good. 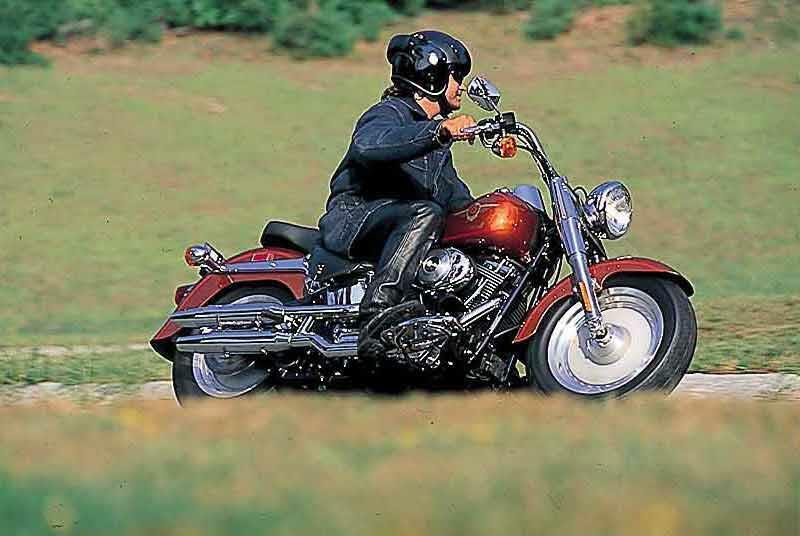 The rear ‘softail’ suspension (with the twin shocks hidden under the engine to give the hardtail look) may give a slightly harsh ride, but otherwise the antiquated but quaint Harley-Davidson FLSTF Fat Boy is well balanced, predictable and easy to steer and manouvere. 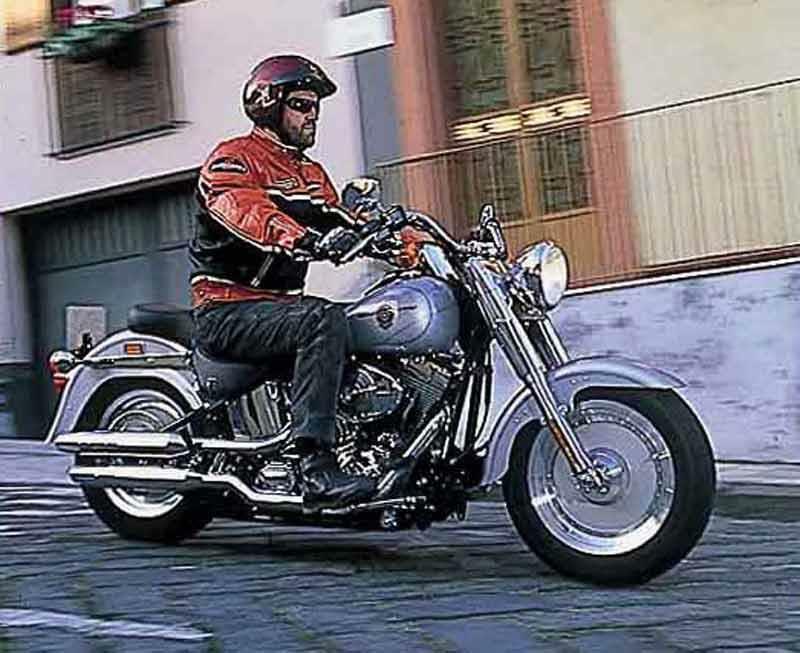 The Harley-Davidson FLSTF Fat Boy's long-lived (it dates from the 1950s) pushrod V-twin was boosted again in 2006 from 1450 to 1584cc (the original 1989-99 motorcycles were 1340s) and is now respectably meaty, especially when liberated with some fruity Screamin’ Eagle of other aftermarket exhausts. Still a vibey dinosaur, though, but that’s part of the Harley-Davidson FLSTF Fat Boy's appeal. 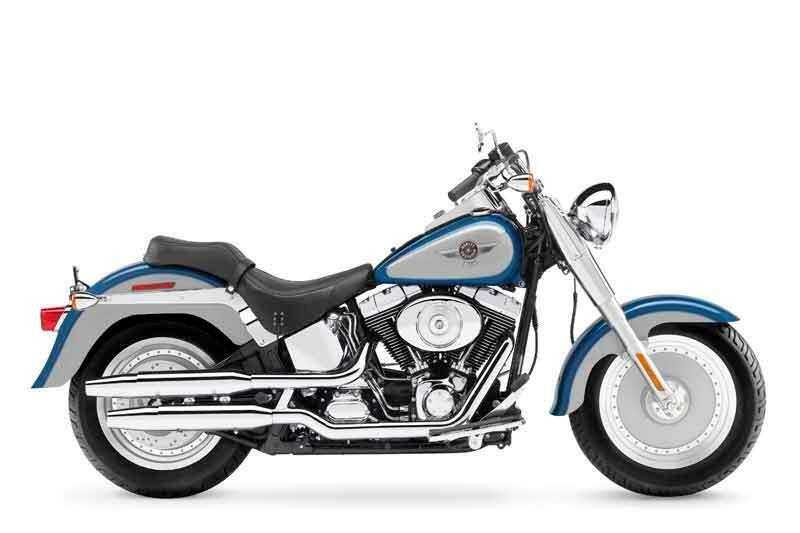 Build quality is fair and the Harley-Davidson FLSTF Fat Boy is about as rugged as new motorcycles come. 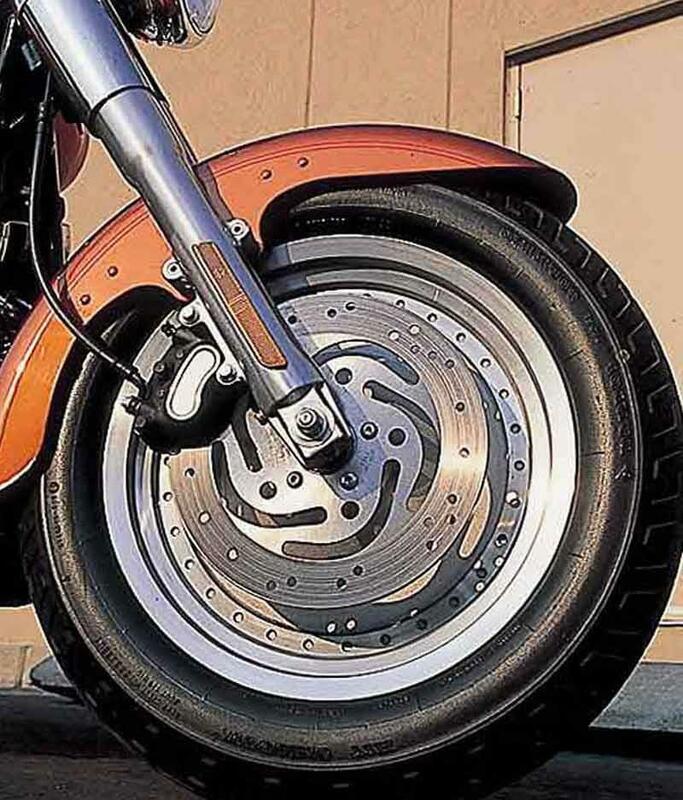 Steel proliferates over alloy, finishes are decent quality and mechanicals are generally proven and understressed, so you should have no worries with your Harley-Davidson FLSTF Fat Boy. Full service history is recommended, though. Swings and roundabouts. 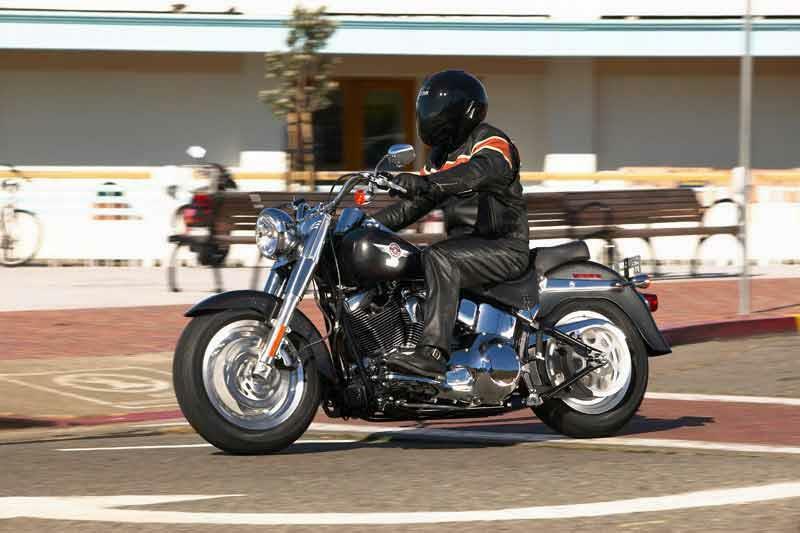 At £13K, the Harley-Davidson FLSTF Fat Boy is hellishly expensive for what it is. There’s no clever technology, no impressive spec, no incomparable performance. But then, as the most desireable of Harleys, there’s no alternative, either and the Harley-Davidson FLSTF Fat Boy's value holds up well. You pays your money. Find a Harley-Davidson Fat Boy for sale. 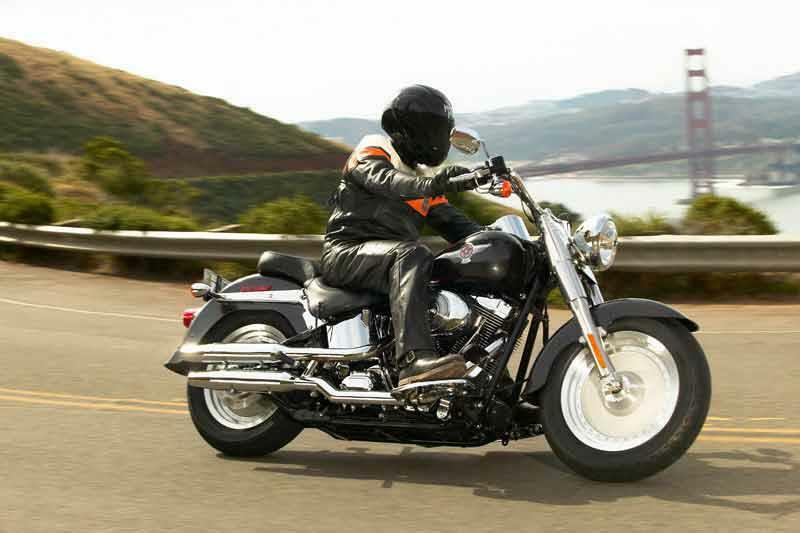 With Harleys, most of the goodies come extra and the Harley-Davidson FLSTF Fat Boy is more basic a Harley than most. But what you get built-in is incomparable style, gloriously deep paint and chrome and high residuals. 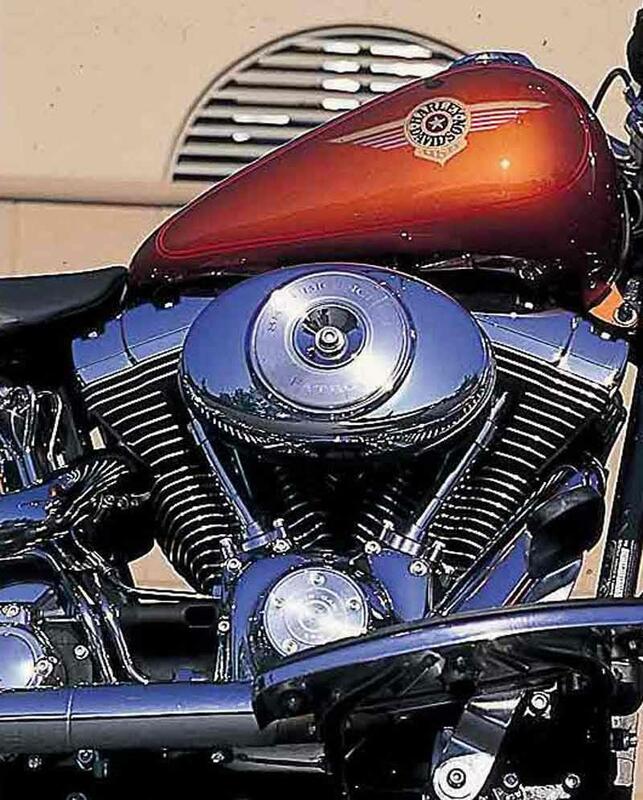 Most used Harley-Davidson FLSTF Fat Boys will come with pipes and other Harley goodies already fitted and, if genuine Harley accessories, are worth extra. 1996: More modern switchgear and master cylinder adopted. 1999: New Twin Cam 1450cc engine adopted. 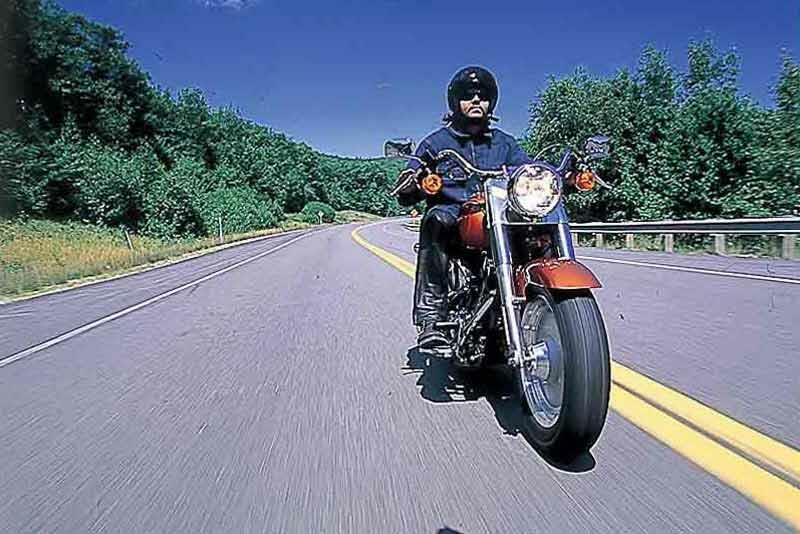 2006: New Twin Cam 1584cc engine adopted on Harley-Davidson FLSTF Fat Boy. 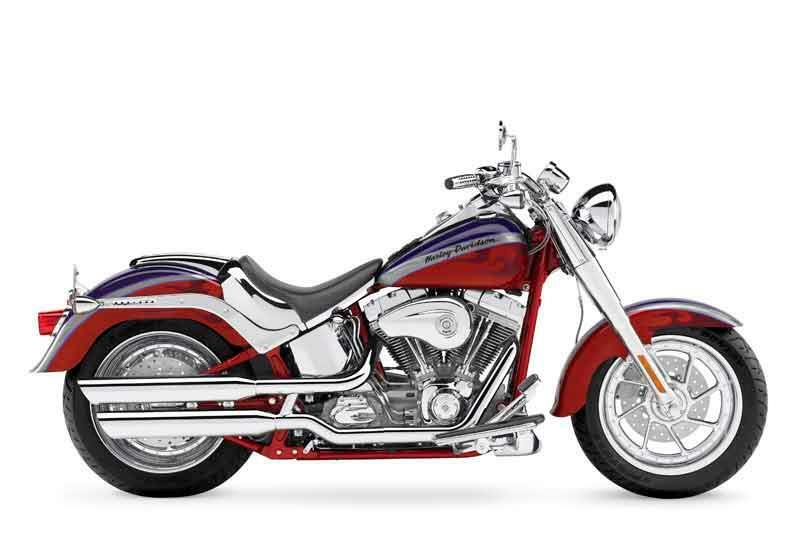 Screaming Eagle versions of the Harley-Davidson FLSTF Fat Boy boast a huge range of factory fitted extras and performance goodies and retail well over £20,000 when new. A rare but desireable take on the Harley-Davidson FLSTF Fat Boy. 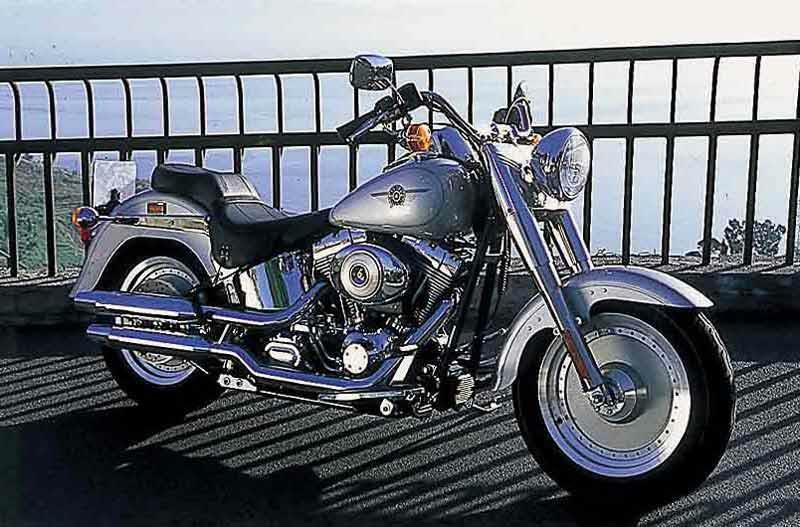 3 owners have reviewed their HARLEY-DAVIDSON FAT BOY (1989-on) and rated it in a number of areas. Read what they have to say and what they like and dislike about the bike below. Loads of torque and quite quick for a harley , Vance and hines pipes help. Vibes none ! Mine easily gets in the high 40 s to a gallon . As a "dyed in the wool" sportsbike rider for the last 40 years, I was somewhat underwhelmed when my mate said he had a new fatboy on loan if I would like to borrow it for the weekend to "see what Harleys are about". It was a new '08 with the addition of very - very loud Vance & Hines slash cut pipes. My first impression was it was heavy (I ride a ZX9R E1 and TDM850)but was suprisingly easy to manoeuvre at low speed. I soon got the hang of slowing down (considerably) for bends, not because of stability, which was fine, but there is no ground clearance and I could only imagine how much the footplates would cost me to replace if I ground them away! I rode on motorway, A and B roads, The engine torque combined with the loud pipes was addictive, the ride is vibrating and rather harsh compared to a modern sportsbike, and anything above 80mph is just too uncomfortable, about 60 - 70mph was the optimum speed, to ride in relative comfort. I found the bike turned heads(probably due to the incredible noise from the pipes) and drew admirers whenever I parked up. It had a "presence" on the road which I have not experienced on a bike before. All in all I rather enjoyed it, However I must say that when I got back on my ZX9 to ride home my first thought was how comfortable and easy to ride it felt after the Harley. All in all, I can see some of what the Harley is about, but it's far too uncomfortable and too much like hard work for me! As for paying £13,000 for one ......! The Fat Boy brings a smile to your face, every time you ride it. The ride is fine, as long as you treat it with respect. I have been over the Cat and Fiddle many times and the torque from the engine makes it a breeze. The attention the bike gets is unbelievable, with many asking to photograph it. Its a real coversation starter. That never happened with my BMW GS or Triumph Speedtriple. The weight of the bike is so low down, slow speed manouvers are a doddle. Fit and finish are excellant. The paint is very thick with lots of clear coat. Makes cleaning a treat and not a chore. Overall, I am over the moon with mine. Its stopped me from losing my licence, as high speed riding is a none starter.I`ve had more fun riding this at 60 then when ringing the neck out of my old Yamaha Thunderace. Recommended.